Rugby sweater from Better TM. 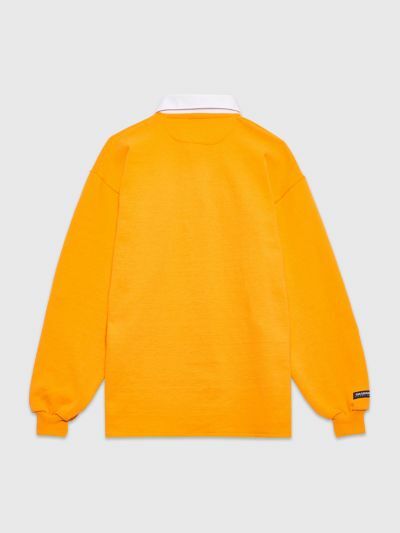 Made from a cotton jersey in a color block colorway and features a contrasting spread collar with button closure, embroidery logo, logo patch on the right sleeve, ribbed cuffs and a straight hem. 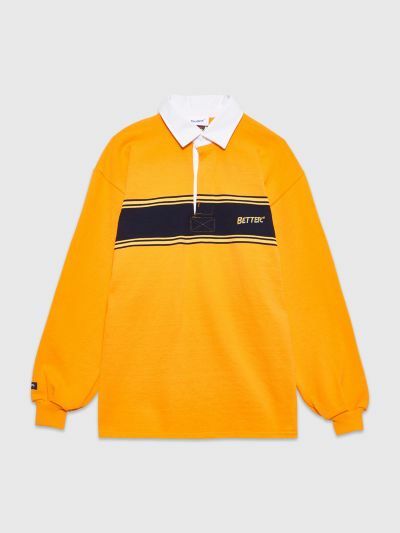 Yellow and black rugby sweater. Made in Canada from 100% cotton.